It was kind of hard to hear or pronounce the name at first, whilst even my driver was laughing uncontrollably and kind of not making it easy for me, I finally got it. After so many attempts, I finally got to pronounce the island’s name. UNGUJA was my destination. My next journey was something beyond amazing. Someone once told me that Tanzania looked beautiful, but I never thought that it was to this extent. Everything about Tanzania is natural, filled with green trees and the blue seas. On the average, a flight time from the OR Tambo in Johannesburg (South Africa), to the Zanzibar Island takes approximately 3 hours and 30 minutes. Upon landing at the Abeid Amani Karume International airport in Zanzibar, our driver was already there waiting for us. We drove for about an hour and a half before we got to our destination, passing places like the Kibele, Bunji, Jozani natural reserve, Kitogani and Kijini before we arrived at the Mkunguni, our final destination. 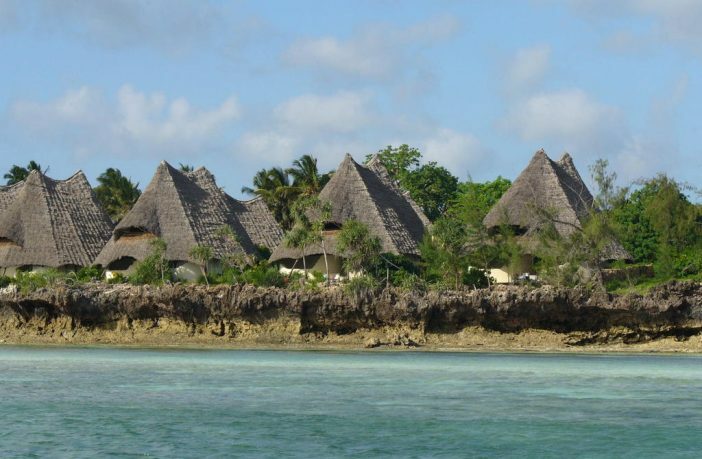 With a few sightseeing here and there, plus the driver notifying us about how beautiful the place we are about to see and the magnificent lodge that we were bound to spend our one week at – the Unguja lodge. The lodge is far hidden by the natural trees, a very quiet area and near the pristine beaches, my anticipation kept pushing through. The lodge is situated at the Southern tip of Zanzibar, near Kizimka Mkunguni. After a few laughs about being lost, we finally found a small pathway that leads to the beautiful hidden lodge. The lodge offers a lot, from your natural sunset to the beautiful blemished sea. On arrival, we met a lady with an amazing Tanzanian accent (Swahili), who asked us what we would like to have a drink and before we could answer, two waitresses came carrying serving boards with various drinks. As we were each directed to our resting points, I could only wonder what to say with that beautiful view that just steals you. Leading down from reception, we were directed into the main lodge, with a swimming pool which is deep enough for a dive training. The lodge has 12 spacious cottages in total; 7 sea view villas, 3 Baobab villas and 2 family houses. The sea view villas and the family houses have direct sea views, each having a private terrace over-viewing the Menai Bay. All rooms have bed drapes alongside mosquito nets. As we were each directed to our resting points, I could only wonder what to say with that beautiful view that just steals you. 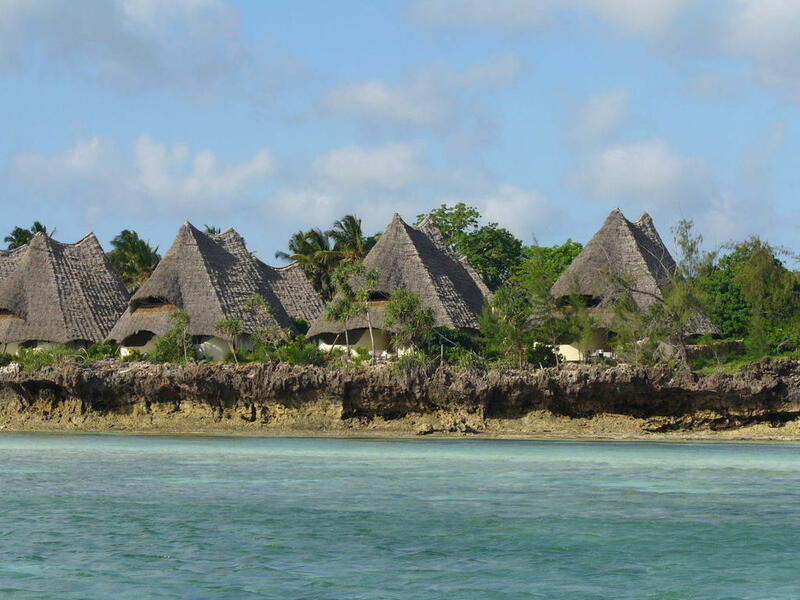 Unguja lodge offers a variety of food, services and activities. Guests are reassured a perfect stay with amazing activities such as; scuba diving, watching dolphins and snorkelling. You can enjoy the nice heat under the umbrella and sun-loungers for a relaxing day at the beach. If you are on a road trip to the Jozani natural park, then you’re most likely to just bump into the Red Colobus (Piliocolobus kirkii) monkey. Lush tropical gardens at Unguja lodge are dotted with baobab trees. Guests will also get to learn of the natural remedy tree called the Salvadora persica, this plant helps with sore gum infections, whitening of the teeth, and plaque. It can also be used for cleaning the body by just boiling it and drinking the juice from it. There are other indigenous animals such as the elephant shrews, lizards, bush babies and the black tail monkey. On the island, there’s a butterfly centre just for butterflies. The going rate for these accommodations during peak period of the year costs about R7630 ($499, 80) per night. Zanzibar has a variety of things to do and sights to see. Go sightseeing, pick a beach and go view the natural parks. There are different activities to do and landmarks you won’t want to miss, Unguja, Kizimkazi Dimbani Mosque, Kizimkazi beach, Jambiani beach, Bawe Island, Paje beach, Jozani forest reserve. Enjoy the spice and stone town tour, visit the Changuu, home to prisoner and tortoises, and visit the historic church, church that was built with stones. There are also other lodges available and sightseeing to do around the island like, Santi archipelago, warm water of the Indian Ocean, rain forest healing with life, the Red Colobus monkey that can only be found in Zanzibar. The Jozani forest is most common place for visitors who love the outdoor activities and wish to see the animals and trees. Best time to visit this magnificent island is in July – September, and December – January as this is the hottest times, and the least time to visit will be the most days where there are too many rainfalls and wind March-May, November-December. Temperatures here can either be too hot for a nice relaxing day out on the beach, or it can be extremely cold. Tanzania is constantly raising standards in luxury hotels and tourism attractions. Other luxury lodges located in the Kizimkazi area are the Tuna lodge and the Ocean Breeze lodge. The people, the land and the accent of this place is beautiful, although I was able to learn a few words in Swahili, it is still challenging for me to pronounce certain words. A fantastic experience for me was the snorkelling and the diving with the bottle-nose dolphins. I am not a very keen person when it comes to trying out new stuffs, especially activities that I don’t enjoy doing, but I was proven wrong. After my great diving experience, I really couldn’t look back. Next Article Religious Tourism: An USD$18 Billion Industry?